For decades, perhaps even earlier as some claim origins dating back to Aristotle’s Poetics, writers, and literary critics have uncovered a finite amount of story plots in fiction. Even the great Kurt Vonnegut argued this theory of story “shapes” in his College thesis that was rejected for its simplistic nature that there were indeed a set of shapes that all writing could be categorized by citing such favorites as Cinderella as a spin-off of the Bible. What it boils down to is this… there are seven original story plots, Overcoming the Monster, The Quest, Rebirth, etc., and that every piece of fiction is actually a spin-off of the original. Beyond those first 7, no piece of fictional writing is truly original. So should new writing be published? Should new stories be shared? This year marks my 19th in Education. Shorter than some, longer than others. Most of my years have been as a high school English teacher (thus, the connection to the aforementioned example) and for the past few years as a regional support consultant in the state in the areas of literacy, technology, and school improvement; but I digress. Because of this, I am going to take some liberties… much of education parallels the 7 original story plots. Things are repackaged, renamed, shined up, fine-tuned, and sent back into the education community as “New” or “Innovative”. In fact, I would venture many seasoned teachers out there would agree with me and have seen the circular nature of programs and instructional strategies recycled and the educational wheel spinning and spitting them back out again when their number is called. Very few things that we as Educators use or do in our classrooms are Original. I will repeat, you, and I for that matter, are not as original as we think we are. We are spinoffs from the educators before us. And what we do, say, and use in our classrooms are mostly variations of what has been done before. Take, for instance, a recent experience I had at Flipgrid Live. The first Day consisted of an Edcamp and a social gathering of Educators at Flipgrid HQ. Day 2 was much the same. A Student Voice Conference with keynotes and breakout sessions and a sharing of personal stories and ideas to spark change. This was followed by a grand reveal of new updates, modifications, acquisitions, celebrations, photos, videos, singing, and on and on and on all focused on empowering student voice and connected classrooms. To many educators, these events are not considered as completely original or new. Even the new releases, ideas, and social media sharing celebrated variations that educators have been using for decades. This brings me to my second point, or liberty I am going to take,,, Change, passion, meaningful learning does not take place vicariously. I attended this event as a learner, not a presenter, and while many know my story, the majority at this event did not. I have always been a Student Voice Advocate and Connected Educator. I have connected classrooms around the globe, traveled with kids internationally based off of those connections, connected teachers to resources and communities (in fact, many of you reading this could probably attest to the way I have helped connect you) but I am not the first one to do this. 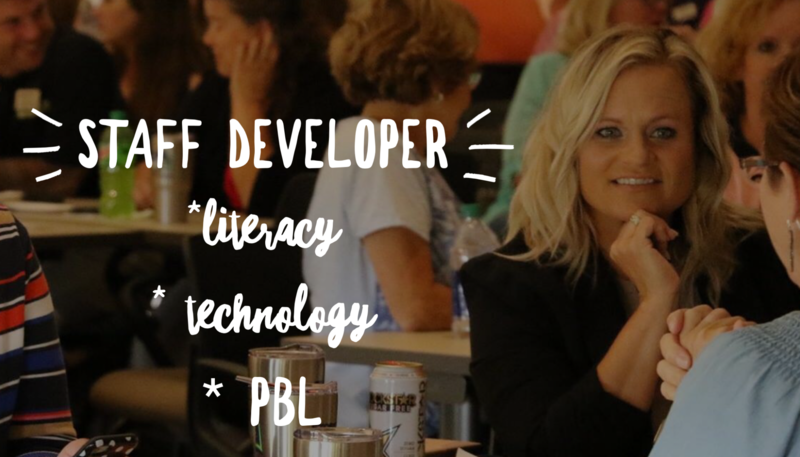 Many educators before me have been working towards similar verbs, connecting, student voice, the difference is this… social media and the desire to one-up each other often times brings out the negativity in people, and flipping through my Twitter feed I found these tweets and educators I respect trying to one-up the celebrations taking place at FlipgridLive. When I became a connected educator and shared my story I met a wonderful educator named Sean Nash. We were prepping for a conference (Bacon Wrapped Lessons) and getting to know the other educators on the team (I was known as the student voice cheerleader). Sharing my classroom stories about amplification and connection was met with support and enthusiasm from the group. I felt proud and I had passion. Come to find out, Nash had been doing this for years- connecting his kids, traveling internationally, amplifying their voice; but not once did he squash my voice or diminish my experience. My story was not interrupted or replaced by his. Educators, students, humans need to share their story. It may not be an original, but a spin-off, just as many argue what fiction is, but passion and change do not happen through vicarious circumstances. We are all working towards similar verbs, and as hard as it was for me not to interject my stories and past experiences as a connected educator and student voice cheerleader at the Flipgrid Live event I knew it was essential for their story to be told, the excitement be shared, and I, as a seasoned educator stood next to, not in front of, these educators and helped to lift them up just as so many have done for me. I was not there to interrupt, disvalue, or one-up them on social media that I have been doing it for years… every story should be told,,, whether it is one of the originals or a spin-off, each story adds value to our profession and supports the same passions or calls to actions that many of us support. At dinner, I was informed by my third and seventh grader that they had 23 days left of school. Wow – 23 days – the school year has flown by. As the weather turns warmer and classroom windows begin opening once again, it is important to maximize the small amount of time we have left with our students. Writing and sharing their voice with the classroom and globe will foster engagement, relevance, and practice with essential skills all students need. Future Me – FutureMe.org is a free website that allows students to send an email to their future self. Users get to select the date it will be delivered, whether the letter is private or can be posted on a public forum, and can attach images to the email. Students will love seeing an email pop up in their inbox that they had forgotten they wrote. While content can be a variety of things or left entirely up to the student, here are a few questions that my students loved to write about: What are you most proud of from this year? What is one new thing you want to try this summer? What are you going to miss the most from ___ grade? Who did you get to know better this year? What are your goals for next year? Curated Google Site – At the end of each year, create a memory website full of pictures, videos, and student work samples. When I did this in my classroom, I had students share their favorite pieces with me so I could collect and curate them in one spot. This reflection can be coupled with writing where students are The new Google Sites is perfect for this type of project. Living in the cloud, Google Sites is accessible for everyone and it integrates easily with Google Drive making curation easy! No Google Sites, don’t worry, Padlet would work too! Flipgrid – Catch the# FlipgridFever and have students create a Grid of Gratitude for support staff or retirees. Flipgrid is a collaborative video discussion platform that lets users create and respond to each other via video. Use Flipgrid to thank support staff in the building or a beloved teacher before they retire. Creating short videos is engaging and meaningful to students and allows them to use a contemporary mode to share their thoughts. 6 Word Memoir – Credited to Ernest Hemingway for writing the first, 6 Word Memoirs is a favorite writing activity to use at the end of the year with students. Having students share who they are at this moment in time using only 6 words requires reflection, analysis, and succinct writing. Adding an image or video to the project reinforces the multi-modality that can be used to share their work with a public audience. As a teacher, they were always my favorite writing projects to read. Here is an example from my former classroom Student Examples Check out Smith Magazine for more publishing and sharing opportunities for students!